Having your bike stolen is unpleasant. While you can’t make your bike completely safe, there are some steps you can take to minimize the risk. Step 1: Register your bicycle with The National Bike Registry, or Bike Index. Without a paper trail, The Police Department can’t do much to help you recover your bicycle in the event of theft. These services need your bicycle’s serial number, which is usually engraved on the bottom of the bicycle. Sometimes the serial number can be found on other parts of the bicycle as well. If you are having trouble locating the serial number, stop by a local bicycle shop to have a professional find it for you. Also, take a few good pictures and keep them in a safe place in case you ever need to use them down the road. It’s also a good idea see if your homeowners’ or renters’ insurance covers your bicycle. If so, make sure your insurer has the documentation they need to replace it in the event of theft. Step 2: Purchase a U-Lock or heavy duty chain lock. Cable locks are easily cut. 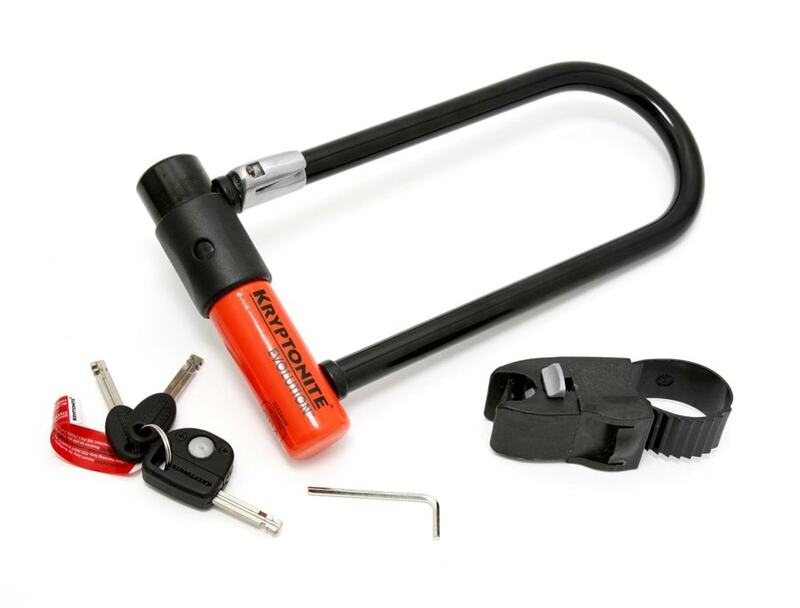 Any lock can be defeated by a determined thief with the right set of tools b=and plenty of time, but a good U-lock presents a substantial challenge. Fire hydrants – the fire department needs to access them in a hurry! Trees – locking damages trees, and thieves can easily cut down a tree to snag your bike. Bad for you, bad for our regions tree canopy. Bus stop signs – these poles are usually painted white. Locking your bike to them can get in the way of people trying to board buses or read bus schedules. If you can, loop your lock through your rear wheel too, since it’s home to expensive parts like your gears and derailleur. For extra protection you can use two U-Locks. One for your front wheel, and another for your rear wheel. But don’t forget to lock that frame as well! Also, if you have quick release skewers, it may be worth considering putting locking skewers on your bicycle instead. Especially if you leave your bicycle outside for extended periods of time regularly. Immediately file a police report. Call your local police department and provide the date, location, and approximate time of the theft. Give the police officer a detailed description of the bike including serial number, make and model, general description of its aesthetic, and any small and noteworthy details that might distinguish your bike from someone else’s (ex: parts, add-ons, flare, stickers). It’s important to take note of the officer’s name and contact information and the case number. Register it as stolen with whichever registration service or services you signed up for in Step 1. If you have the right info, bikeindex.org allows you to register your bike even after it has been stolen. Notify your network. 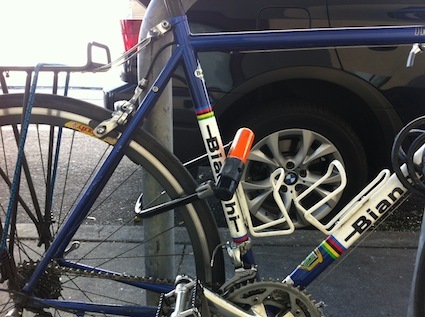 push a picture and a description of your bike to your friends who can help be on the lookout. Send out an email, post an update on Facebook, and tweet to #bikeDC. In DC, the Metropolitan Police Department maintains a Flickr page of recovered stolen property. Check it periodically to see if your bike has been recovered. If you or someone you know sees your bike on the street, notify the police immediately. If the bike is locked up outside, lock it up with your own lock until the police arrive. For your safety, we do not recommend confronting the person riding your bike. Anecdotal evidence indicates it’s entirely possible that the person riding you bike has purchased it from the person who stole your bike.